Every single bit of news is related to the upcoming 2015 Los Angeles Auto Show and we just can’t help it when there are so many good cars being lined up. 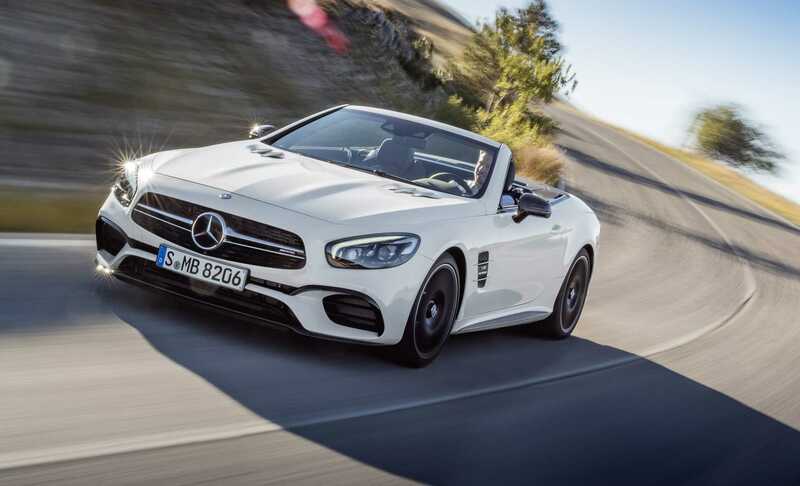 Ahead of the grand auto show, the 2016 Mercedes Benz SL has been revealed in a bunch of stylish photos that showcase the grandeur and style of the car. Automobile manufacturers prefer to showcase their cars much earlier to the expos because there are at least three dozen brands slated for the show. It is easy to get lost in the crowd; which is why it is much better to show pictures and get people excited before the car is displayed on the show floor. Mercedes Benz is following a similar strategy as done by many other brands. The SL is a really long car with lozenge inspired headlights and is equipped with an inverted grille. The front fascia is simply brilliant which is coupled with huge air intakes, a brand new bonnet and front wings modified to make the vehicle as aerodynamic as possible. The sills have received the much needed refreshment while the tail lights have retained their earlier design. The graphics in the car are now more of an American styled car with a red finish and the rear bumper features an updated diffuser style. Some of the minor changes are not readily visible, but we will be able to easily list them out when the company representatives start talking about it during the show. The 2016 Mercedes Bens SL features a highly integrated infotainment system with a large screen to control the features with ease. The car is expected to be available in three different variants, powered by a V6 engine, V8 and a V12 engine respectively. Each one of these engine variants is powerful at its own level. Based on the type you go for, the pricing will see some drastic variations, but it will obviously reflect in the overall performance of the car as well. A nine speed automatic transmission system might be used in specific models. The car will have five driving modes to choose from and uses Active Body Control. The unique feature supports tilt and curve making it easy to control the V12 engine variant which could go extremely fast, especially if you are on the right road to push it to its maximum speed. After the grand reveal in Los Angeles, the car will go on sale in the month of April next year.